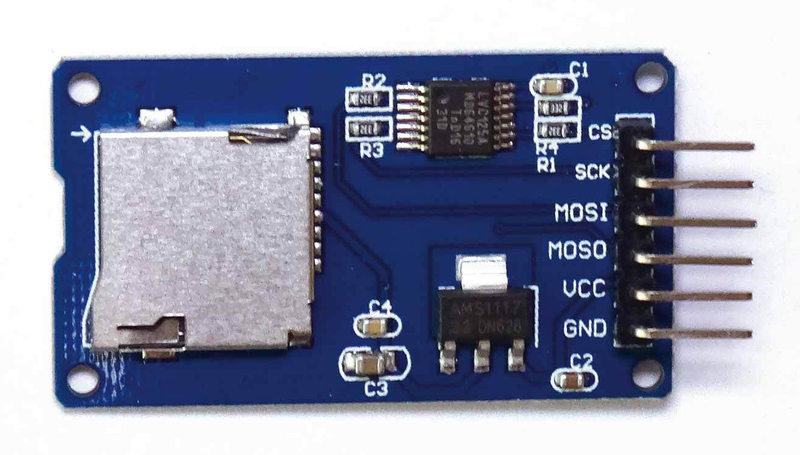 I have bought a SD Module with the following Pin-Names: VCC,GND,MOSO,MOSI,CS,SCK. I've found many tutorials on how to use it with the Arduino Uno. But haven't found any on how to wire it with the MKR GSM 1400. Most of these Pin Names are written on the Board itself, but the CS-port isn't marked. (VCC and GND are obvious). So is there any tutorial on how to use them together or any more specific documentation? You can free choose pins used by SPI master to select slaves, but if possible use the default expected by the library. With MKR and other SAMD Arduino boards use the same default SPI slave select pins as for AVR boards, because same libraries are used. Ethernet library has default SS pin 10 and SD library pin 4. Not the answer you're looking for? Browse other questions tagged sd-card wires mkr1000 or ask your own question. How to use a microSD card reader with SCK instead of CLK? How does the MKR1010 manage its power?